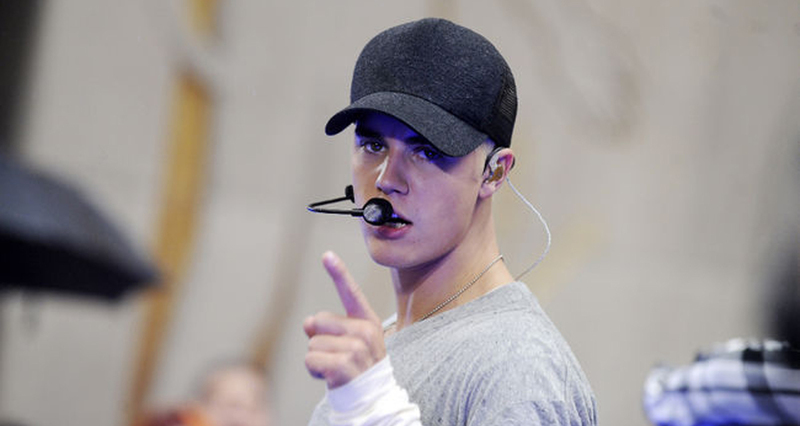 Leave it to Justin Bieber to not roll with the punches (if you can even call it that.) The singer was in the middle of a heartfelt speech when he was interrupted by an adoring fan. And to no ones surprise, J-Biebs lost his cool a little bit. Mid-concert in Atlantic City, NJ, Justin gave his fans a quick aside about having a purpose in life, and why he named his tour “Purpose.” It was then that a fan threw his hat up on stage, causing him to lose his train of thought. Naturally, he wasn’t gonna let it slide. He called out the hat-thrower for interrupting his speech. “If we could just take this moment to listen and not try to give me a hat or whatever you’re trying to throw on stage right now… I probably don’t want that s**t.” He gave the display of fan love the rejection of all rejections, and kicked the hat offstage. He did realized that he may have overdone it a bit, and followed with “Sorry, that was mean” before continuing his heartfelt speech for a minute or so. He explained to fans that he’s prone to rough days, but he combats it by surrounding himself with people that will help him get through it. He segues that into thanking his fans for their support as well. He couldn’t possibly just leave it on that positive note though! He had to get in one last word to the alleged hat-thrower. At least we can say that both Justin and the alleged hat-thrower meant well. Was the fan being disrespectful? We can safely assume that if was disrespect, it wasn’t intentional. Was Justin overreacting? What else is new.